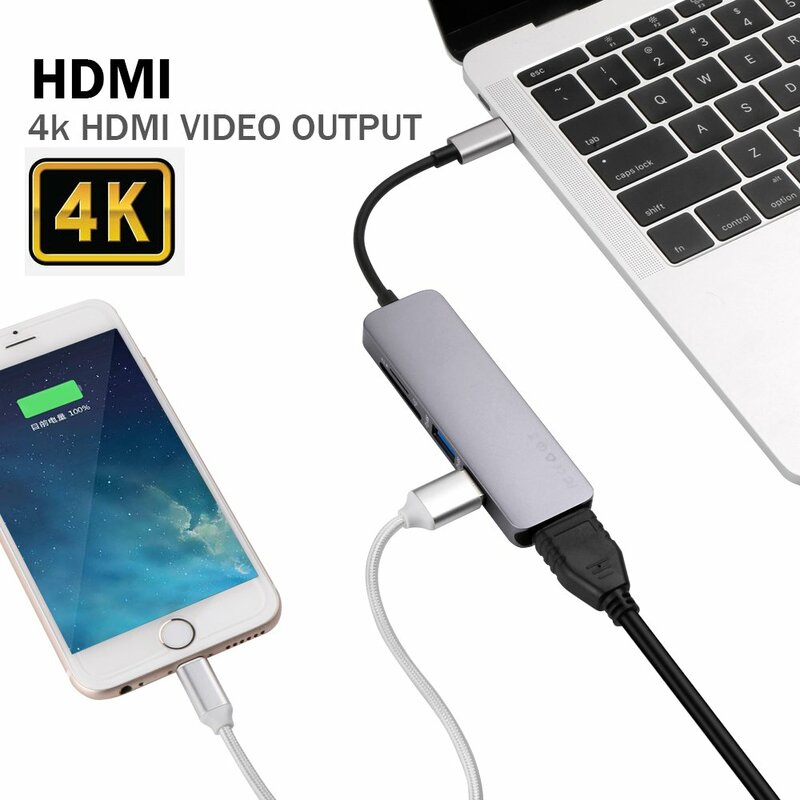 5-in-1 USB-C HUB: USB-C(Type c) to HDMI 4K Apdater with 2 USB 3.0 port & SD/TF card reader for all new MacBook/MacBook Pro 2018/2016/2017, and other USB-C port equiped devices. 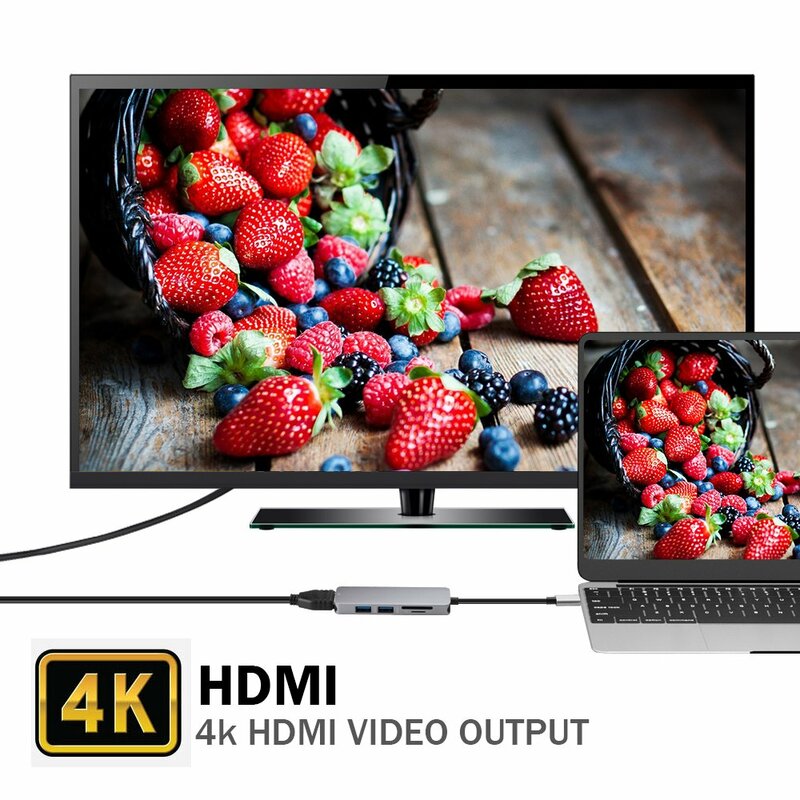 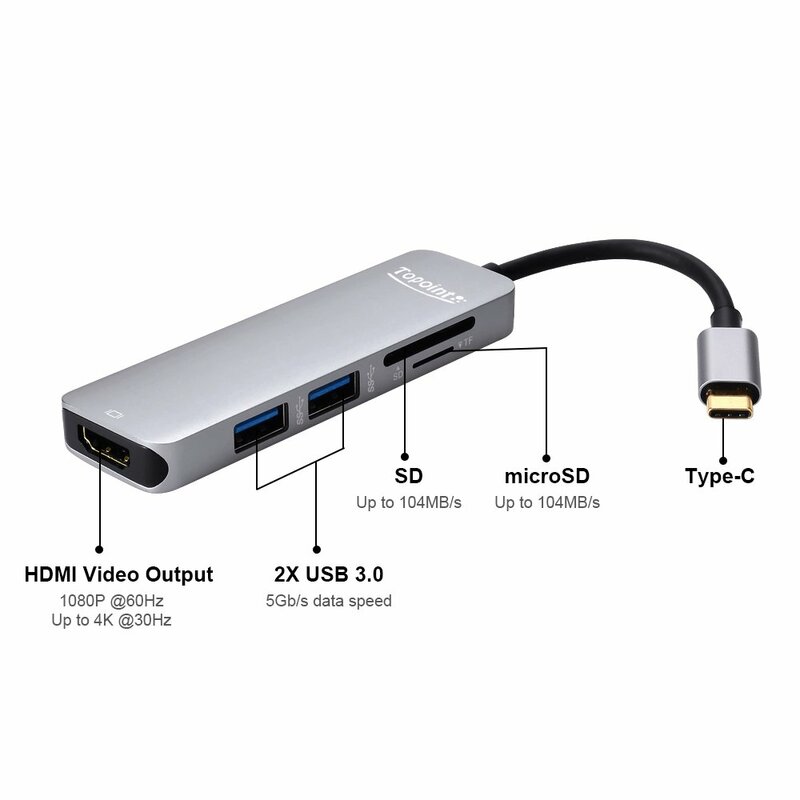 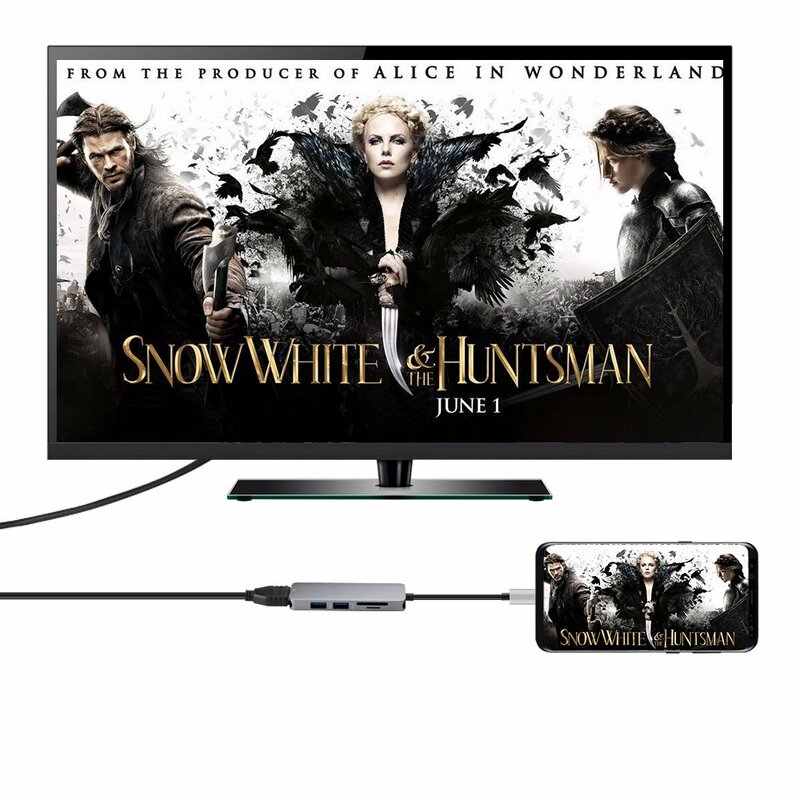 4K HDMI Adapter: Mirror what display on your screen via USB C to HDMI port hub directly stream 4K UHD or Full HD 1080p video to HDTV, monitor or projector. 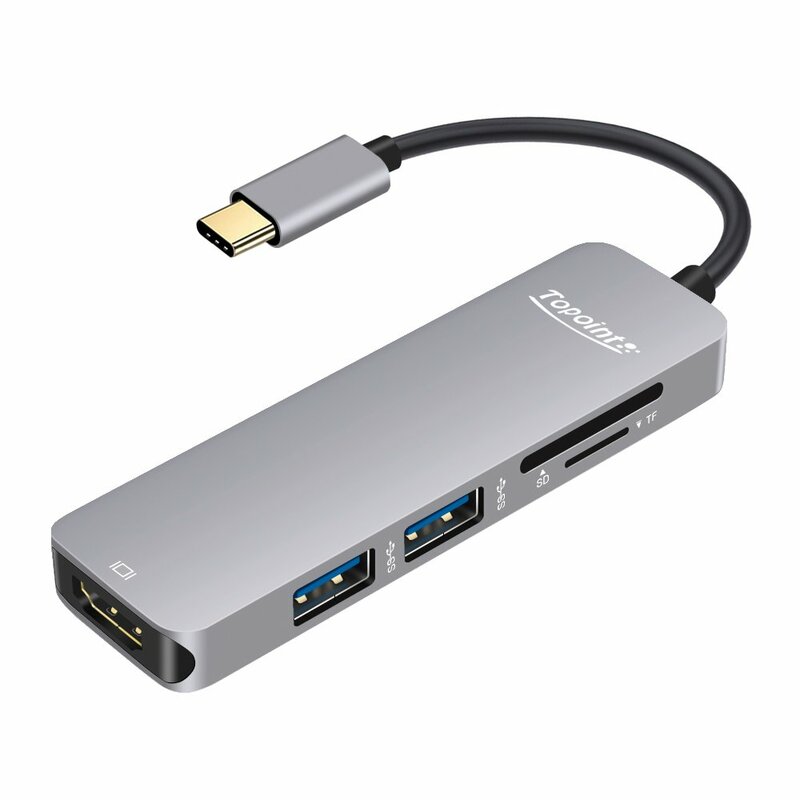 USB 3.0 Ports: Dual USB 3.0 ports support data transfer rates up to 5Gbps. 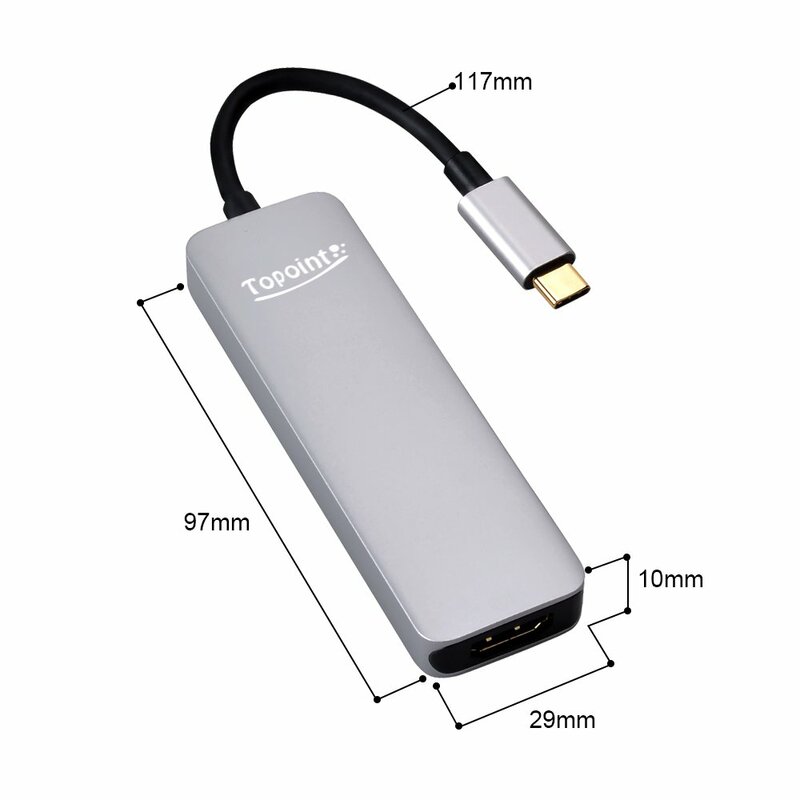 Support USB keyboards/mouse, USB flash drive, even high power consumption extend USB hard disks. 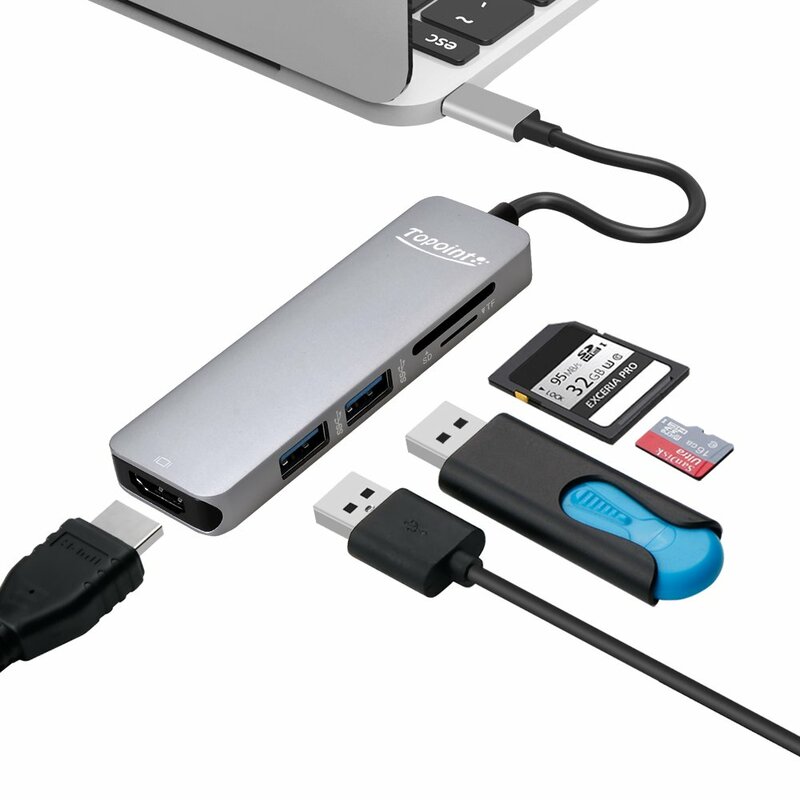 The two USB 3.0 ports can be connected at the same time.